Welcome to the website of The University of Sunderland in Hong Kong (UoSHK). UoSHK strives to provide high quality full-time and part-time academic programmes to meet the diverse learning needs of a knowledge-based economy in order to meet the challenges in the real world. We offer a wide array of academic programmes, ranging from Higher National Certificate (HNC), Bachelor Degree, Master Degree to Doctoral Programmes. As an integral part of The University of Sunderland, UoSHK shares the ideals of whole-person development of our students in preparation for their personal and academic as well as career developments. In addition to the formal academic curriculum and classroom teaching, we organise various student development activities for students to participate and gradually develop their all-round capabilities and attributes. We are committed to providing quality education through a student-centred teaching-and-learning environment and with the support of a team of well qualified academic tutors of which half possess Doctoral degrees. I sincerely invite you to take time to explore our website to find out more about UoSHK and especially the learning opportunities that we can offer you. Dr. Davey YEUNG received his Bachelor of Business Administration degree with a major in Finance from the California State Polytechnic University, Master of Business Administration degree with a focus in Strategic Management from the Andrews University in Michigan, and Doctor of Business Administration degree with a focus on Quality Assurance in Distance Education from the University of South Australia. He is the Head of Academic Affairs of the University of Sunderland in Hong Kong. Previously, he was the Head of Department of Marketing and Management at a local private tertiary institution. Dr. Yeung has over twenty successful years of experience in university teaching, programme administration, programme development, quality assurance, institutional review and programme accreditation in local tertiary institutions. 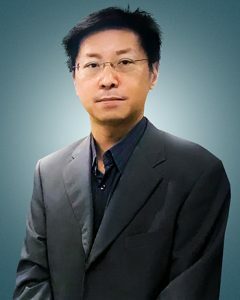 Over the last twenty years, Dr. Yeung has been lecturing Undergraduate and Postgraduate business related programmes for a number of universities, such as Middlesex University, Northumbria University, University of London, University of Glamorgan, University of Bradford, National University of Ireland, Napier University of Edinburgh, London Metropolitan University, Leeds Metropolitan University, University of Western Sydney, La Trobe University, Deakin University and University of South Australia. Dr. Yeung has successfully supervised more than one hundred undergraduate dissertations, more than ten master theses, and four doctoral dissertations from various overseas universities. Currently, Dr. Yeung is serving on the Editorial Board of the International Journal of Economics, Commerce and Management. Contact us for more programme and scholarship details.